Everybody has to start somewhere, and typically, with the inevitable exceptions, those few who become famous for what they do don't do so overnight. Years of obscurity often precede their making it big. As booksellers, we can cash in on this phenomenon - if we know what to look for and if we, in turn, market things so as to showcase what we've found and explain why something is important. As in so many other professions, the most successful booksellers are often the best teachers; and in this context, our students are book collectors. Funny thing about people who teach as a profession: They almost always have sizable libraries. And so it should be with booksellers who make it their business to teach. New discoveries in our profession are far surpassed by discoveries that have already been made. And written about. It's just a fact of life that most of the knowledge we acquire is derivative: We've learned it from somebody else. This is one reason why bibliographies are so important. 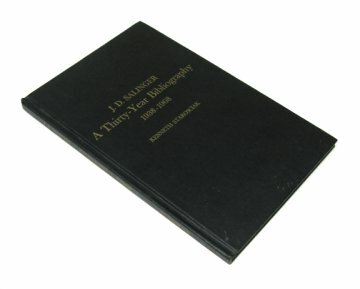 Not only do they show us how to identify the obviously valuable First Editions - the things most everybody is looking for - but they also, usually, document what preceded an author's fame. The less obvious, sometimes hidden stuff. This is where teaching - and profits - can kick into high gear. Take J.D. Salinger. He is often described as a one-book wonder, and yet The Catcher in the Rye represents only a small part of his writing life, both after its publication and, most importantly, before. A slight 62-pages long, and yet time and time again I've profited from its modest contents. The Catcher in the Rye was published in 1951; bibliographer Kenneth Starosciak cites fully 29 appearances that preceded it. Among these are articles or stories in magazines that are household names - Collier's, Cosmopolitan, Esquire, Harper's, Good Housekeeping (of all things), Mademoiselle, The New Yorker, Saturday Evening Post, and so on. Think about this for a moment. Mid-century magazines that had large circulations are usually ho-hum, low-value things, and if there are exceptions, it usually has to do with what's happening on the cover, say, a photo of Marilyn Monroe. Again, this is the obvious stuff. Think also about this: How many times have you seen a listing for a magazine that fails to mention significant content? It happens all the time. Now consider the Salinger collector. Apart from Catcher there are only three books remaining to collect - Nine Stories, Franny and Zooey and Raise High the Roof Beam, Carpenters and Seymour: An Introduction - and these are compilations of short stories or novellas. And - all of these books are plentiful enough to acquire quickly, if not cheaply. What's a poor Salinger collector to do next? First, note the date - September, 1941. This is darn early in Salinger's career. 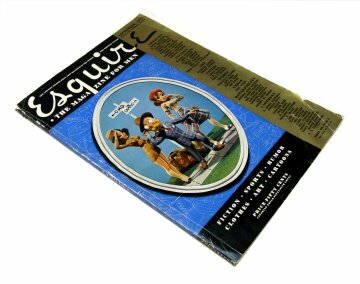 There were only a few appearances in print that preceded it, and these were almost entirely in small circulation literary magazines. 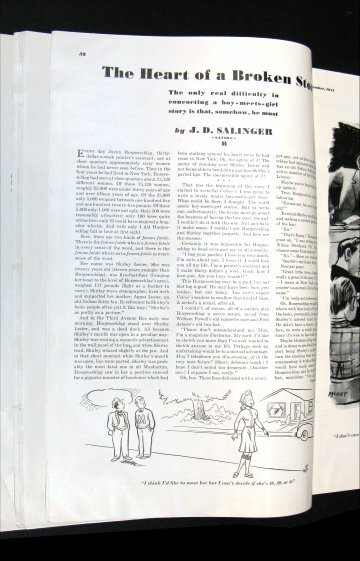 Second, the funny thing about this is that, though Salinger's name appears in bold black ink in the contributor list on the right side of the front cover, the seller failed not only to mention his appearance but also failed to provide a clear photo of the cover. Thanks to Starosciak's bibliography, however, I knew what was what immediately - and when I get around to selling this thing, you can bet the farm that it will be a teaching moment, not to mention a three-figure outcome. Those who know the reclusive Salinger know he was loath, especially later in his career, to allow publisher's to use any photo of him whatsoever. This photo, which appears in the "Backstage With Esquire" feature in the same issue, is both early and rare - in fact, it's the most significant selling point of the magazine.